I cannot believe it’s still so cold and snow-covered here in NYC. Today, I received a pretty amazing blowout with L’Oréal. Nothing beats a nice head massage. 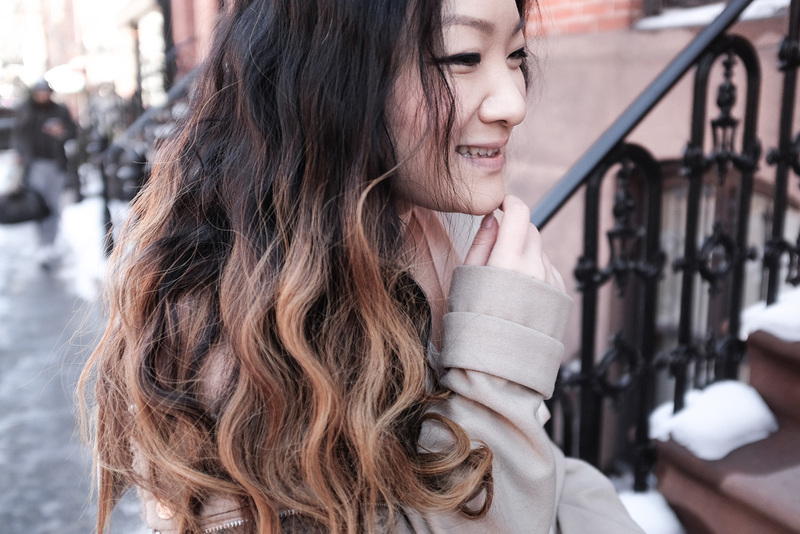 We used the new Extraordinary Clay collection (which I’ve been loving at home) to achieve a blowout that will last 48 hours. The collection is perfect for anyone with oily hair or in my case, someone who waited too long between washes/gym days. I love using the clay hair mask to absorb all the oil before shampoo and conditioning. Plus, it smells so good! Whenever I use it, the smell lasts for a good two days. My hair honestly is super bouncy and feels lighter on the days I use it. I like to switch it up daily depending on my hair situation — dryness, oiliness, etc. For quick touch-ups the dry shampoo has been amazing. For today’s look, we also used a volumizing mousse while the hair was wet before blow drying. Then a flat-iron was used to create these soft mermaid waves. To keep the frizz away, a lovey shine mist was applied before setting it with the ever-popular Elnett hair spray. Since I always do my hair myself, it was so nice to have a little treat today! Thanks again, L’Oréal Paris.